Pula: A British tourist who fell off a cruise ship near Croatia has been rescued and is safe after spending a full night in the Adriatic Sea, officials said Monday. “I was in the water for 10 hours, so these wonderful guys rescued me,” the woman, appearing in good health, told Croatia’s National Television (HRT) after her rescue on Sunday. 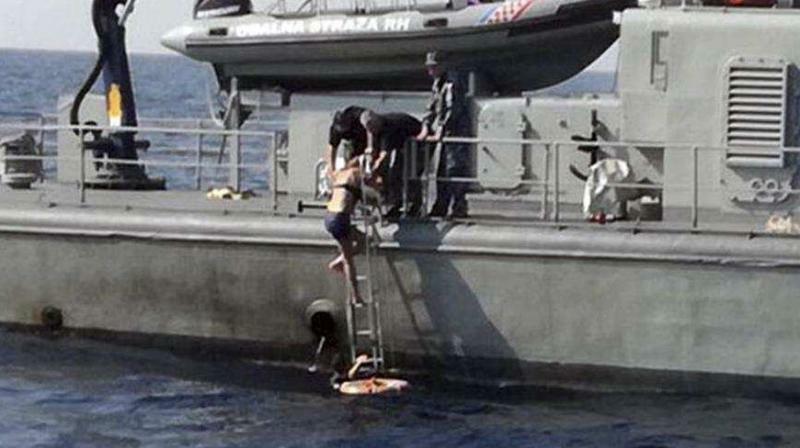 The tourist, who said she “fell of the back” of the Norwegian Star cruise ship, was found by Croatia’s Coast Guard on Sunday around 1.3 kilometres (0.8 miles) from where she went overboard, a defence ministry spokesman told AFP. The rescuers used the wind and sea currents to pinpoint her location, he added. “We saved a human life, it is a feeling that cannot compare to anything,” the rescue ship’s captain Lovro Oreskovic said in a statement on the ministry’s website. Norwegian Cruise Line declined to comment on how the passenger went overboard. “The guest was found alive, is currently in stable condition, and has been taken ashore in Croatia for further treatment,” the company said in a statement to AFP. The incident took place while the Norwegian Star was on its way to Venice, the cruise company said. Tourism accounts for 20 per cent of Croatia’s gross domestic product, drawing some 18 million visitors each year.